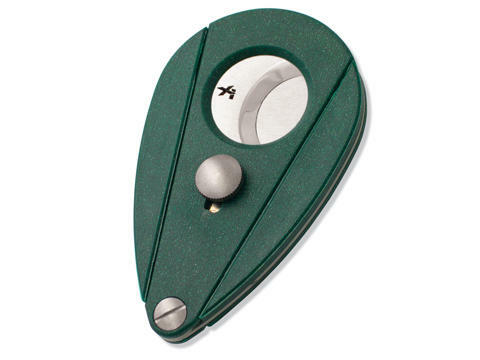 BestCigarPrices.com has the best assortment of cigar cutters and cigar punch cutters to choose from. Our cigar cutters are designed to cut a variety of sizes of cigars, and come in a wide assortment of styles, sizes and colors. Second only to a cigar lighter, cutters are an essential accessory for any cigar aficionado. 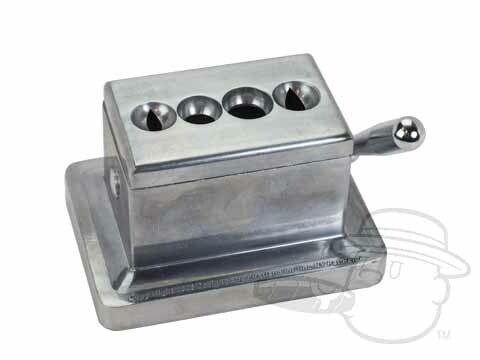 We offer only the best cigar accessories including cigar lighter, cutters, humidors and more. When a cigar is hand rolled, a cap is put on the head of the cigar to keep it from unraveling and drying out. Cigar cutters are used to remove the cap of a cigar before smoking it, and cigar punch cutters are used to penetrate the cap of the cigar. There are three basic types of cuts, the straight cut, the wedge (or V) cut, and the hole punch. The type of cut to make is based on personal preference and the size and/or shape of the cigar. Biting a cigar, or otherwise cutting it improperly, will cause the wrapper to unravel, and could even damage the binder and filler tobacco inside. This is a last resort, and should never be done with an expensive premium cigar, as the cigar is much more valuable than a basic cutter. If the cigar costs more than $5, do not cut it until you have a cigar cutter. It will be well worth the wait. Check out our featured cigar cutters below, or search our whole selection for one of a kind cigar punch/cutters in nearly every color, shape and size, and be sure to search the rest of our site for all the best cigar accessories including cigar lighter, cutters, humidors and more.